Did you know that the famous actor Sir Christopher Lee was also a heavy metal singer? And his songs are based on the life and times of Charlemagne? 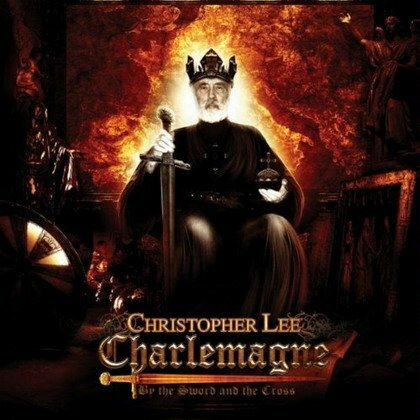 Christopher Lee is featured on two albums, Charlegmagne: By The Swords and the Cross, which was released in 2010, and Charlemagne: The Omens of Death, which went out to music fans in 2013. Lee, who passed away earlier this week, had been recording various music pieces since the 1980s, but these were his first complete albums. The albums have been met with positive response from fans and reviewers, with Charlegmagne: By The Swords and the Cross even winning a ‘Spirit of Metal’ award. In talking about the second album, the website Metal Archives states, “If you think that this may be mawkish or dated, you haven’t actually taken the time to listen to the work, and you are doing yourself a great disservice. Don’t confuse this with the throwaway nostalgia that is being released by scores of imitators. Powerful, pounding, creative, fiery, and epic – if those are some of the words that describe the music that you are searching for, then look no further than Charlemagne; The Omens of Death. Christopher Lee has starred in over two hundred films, often playing memorable villains in works such as James Bond’s Man with the Golden Gun and The Lord of the Rings trilogy.